General Description of Catenin, beta. 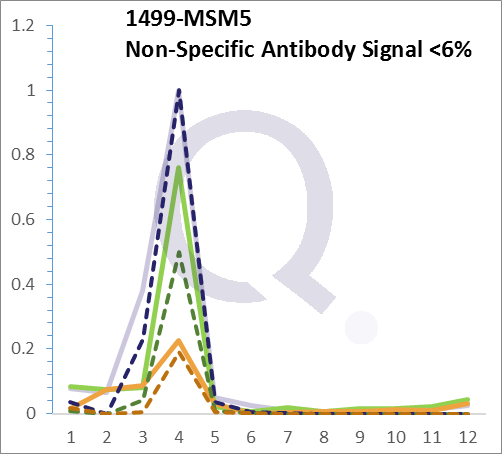 This MAb recognizes a protein of 92kDa, which is identified as beta-catenin. It shows no cross-reaction with gamma-catenin (also known as plakoglobin). The catenins, alpha, beta and gamma bind to the highly conserved, intracellular cytoplasmic tail of E-cadherin. Together, the catenin/cadherin complexes play an important role mediating cellular adhesion. Alpha-catenin was initially described as an E-cadherin-associated protein, and has been shown to associate with other members of the cadherin family, such as N-cadherin and P-cadherin. Beta-catenin associates with the cytoplasmic portion of E-cadherin, which is necessary for the function of E-cadherin as an adhesion molecule. 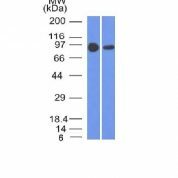 Beta-catenin has also been found in complexes with the tumor suppressor protein APC.